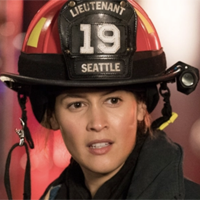 Showing 1 - 15 of 26 articles tagged "Station 19"
After previously recurring on Private Practice, Williams is returning to Shondaland in a role that is being kept under wraps. Last night's episode of the Grey's spinoff reached 6. He'll guest as the "sharp-witted, perceptive and wickedly smart" father of Albert Frezza's Ryan Tanner. He'll recur on Season 2 of the Grey's Anatomy spinoff as a firefighter with a mysterious past. The casts of Grey's Anatomy and Station 19 compete against each other in episode airing in mid-July. The Britt Robertson-starring For the People has struggled in the ratings, but it'll be back for a second season. The Grey's Anatomy spinoff was No.